Delvaux soars into the future with its new creation, the Tempête Dark Night, firmly anchored in the realm of high performance. By reimagining this emblematic bag that has been part of the house legacy since 1967, Delvaux has crafted its most technologically advanced design to date, the product of intense research and development. 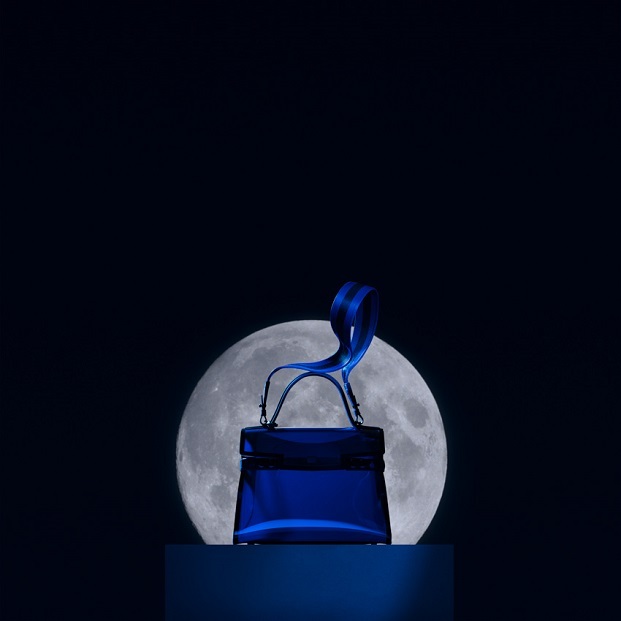 Made of a 100% high-tech composite, the Dark Night embraces its ambiguous nature: Its transparency combined with the depth of its dark Prussian blue tint is like a dream during an intense night giving just a hint of its contents rather than revealing everything. Innovative, substantial and yet light, as well as weather-resistant, the Dark Night is imminently practical thanks to its sporty, two-toned nylon canvas shoulder strap. With its cutting-edge fabrication, the Dark Night could almost be mistaken for a competitive sports accessory. Indeed, the handle and sides of the bag in a color as dark as the night are made of TPU, an ultra-high-tech material that is often used to make high-performance sports equipment. The main body of the Dark Night is also a feat of technological genius. Entirely made of transparent PVC, it is assembled by superimposing very fine layers that are then thermosoldered to produce a perfectly homogeneous effect. This reinvention of the Tempête marvelously epitomizes Delvaux’s ability to transform its cherished icons into the most unconventional and ingenious instruments of creativity. These signature Delvaux qualities make the Dark Night the ideal bag to accompany a contemporary heroine passionate, spirited and poised for the future. The Tempête Dark Night will be available exclusively in select Devaux boutiques starting February 15.